We are happy to welcome France as partner of the Reeperbahn Festival International Music Journalism Award. Supported by our partner country for 2018, the International Music Journalism Award will premiere a French-language category for “The Year’s Best Work of Music Journalism: Text (Print & Web)”. A highly qualified jury consisting of French representatives from the music and media sector will get to work evaluating the submissions and suggestions to determine the deserving winner. Célébrez le journalisme musical! Celebrate music journalism! We’ve put together a great selection of hotels located on and around the Reeperbahn: choose from budget or luxury hotels, single or double rooms, hotels with views of the port or with the best festival breakfasts! Room allocations are reserved for delegates who already have a Reeperbahn Festival Conference Ticket. 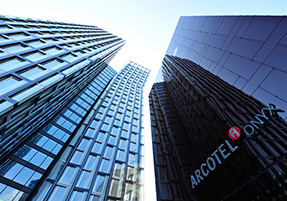 Please note that the ARCOTEL Onyx Hamburg, our official festival hotel, is already fully booked! Reeperbahn Festival will take place from 19 – 22 September. Until the end of June the Conference Ticket can be purchased online at the Summer Rate for only €219.00 (plus 19% VAT + sales fee). We are delighted to announce that Reeperbahn Festival is teaming up with NEXT Conference 2018 again. 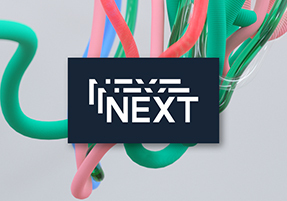 Learn more about the main topic at NEXT18. Delegates of NEXT18 recieve free access to the Reeperbahn Festival Conference programme (sessions, networking, awards) and priority access to the public programme (concerts, showcases, literature, film, etc., subject to capacity). Thanks to the partnership between Reeperbahn Festival and Hamburg Metal Dayz all Reeperbahn Festival delegates have free access to Hamburg Metal Dayz taking place at the same time from 21 – 22 September in the Markthalle (near Central Station)! With performances by acclaimed and upcoming metal acts, panels, workshops, readings and much more, the two-day gathering has become the place to be for all things metal, bringing bands, fans and professionals together. For more information, please visit www.hamburg-metal-dayz.de!